Girls can save the day too, and they always have . 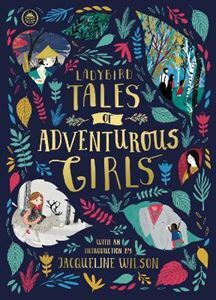 . . Join six adventurous girls from around the world as they use their wits, courage and strength to overcome the odds in this colourful, illustrated collection of Ladybird Tales. Perfect for bedtime, to read aloud or enjoy alone, these empowering tales show that girls can be the heroes of any story. Includes a special Introduction from award-winning author Jacqueline Wilson.